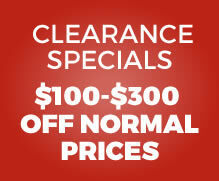 Ask About Our 3 Year Warranty! 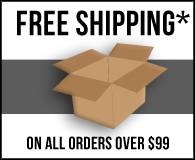 Designed For Pools: Up to 50' length, with vinyl, gunite/concrete or fiberglass surfaces. Customization: Yes, digital power supply allows for up to a 7-hour cleaning cycle or automatic operation with existing or auto-control pool equipment. T2's intelligent efficiency reduces as much as 85% of the wear and tear other cleaners incur and cleans your pool up to 5 hours faster, which translates into less operating hours and cost, greater reliability and lower maintenance needs. Rotating quad-brush system with patented flexi-flap design scrubs loose waterline build up and breaks down large debris without warping. Patented power-washing jets flush sand, silt, algae and bacteria out from corners, creases, seams and surface pores where brushes can't reach. A powerful built-in pump motor vacuums in and circulates 5000 gallons of water per hour, increasing water circulation, reducing energy costs and cleaning without the pool's filter or booster pumps to provide the healthiest swimming environment. 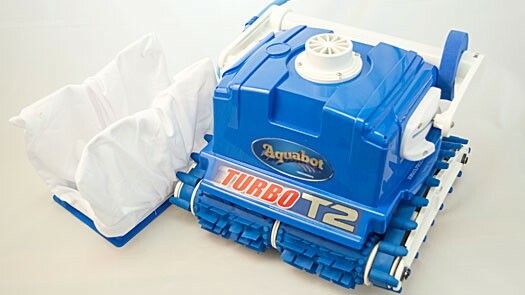 In fact, using your eco-friendly Aquabot Turbo T2 can reduce your pool filter's operation time by as much as 25%, decrease heat pumps or solar blanket usage and reduce chemical consumption by up to 30%. Front and rear vacuum ports avoid clogging and accesses dirt located at the furthest edges of the pool, sucking everything into its internal filter bag with no hoses required. The reusable micro filter bag boasts the largest holding capacity available to trap everything from large leaves and twigs to coins, gum, hair, sand, silt, algae and bacteria ten times smaller than what most pool filters can remove, allowing less cleaning and healthier swimming.